Download the lectures of the 14th Budapest Nephrology School – just click on the title of the presentation you want download in the following final program. Faculty at one of the Budapest Nephrology Schools together with the EDTA-ERAfellowship awardees. 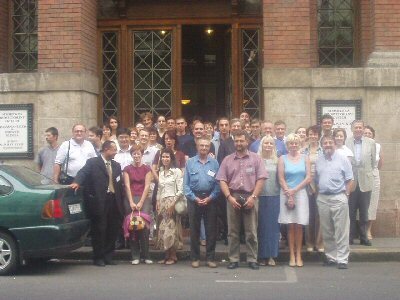 Some participants and faculty at the door of the Department of Surgary and Transplantation, Semmelweis University.